Imagine falling asleep to the gentle lull of waves upon a sandy shore and waking up to a breathtaking display of pale pastels stretched over a tranquil blue sea. Picture yourself basking in the winter warmth of a sunlit living room or cooling off with a splash in a beachside pool on a hot summer’s day. 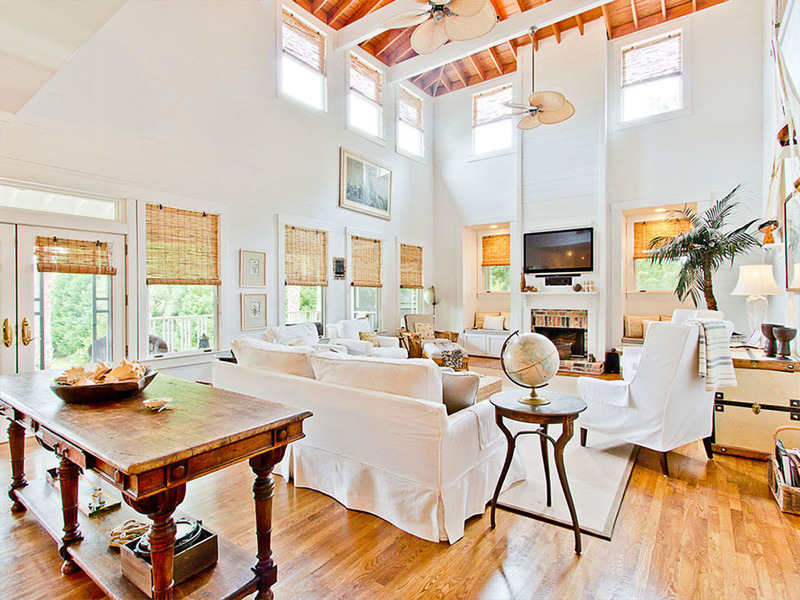 Now, your dreams of a charming seaside getaway can come true; Sandra Bullock is selling her Georgia beach house on Tybee Island. And it’s just $6.5 million. 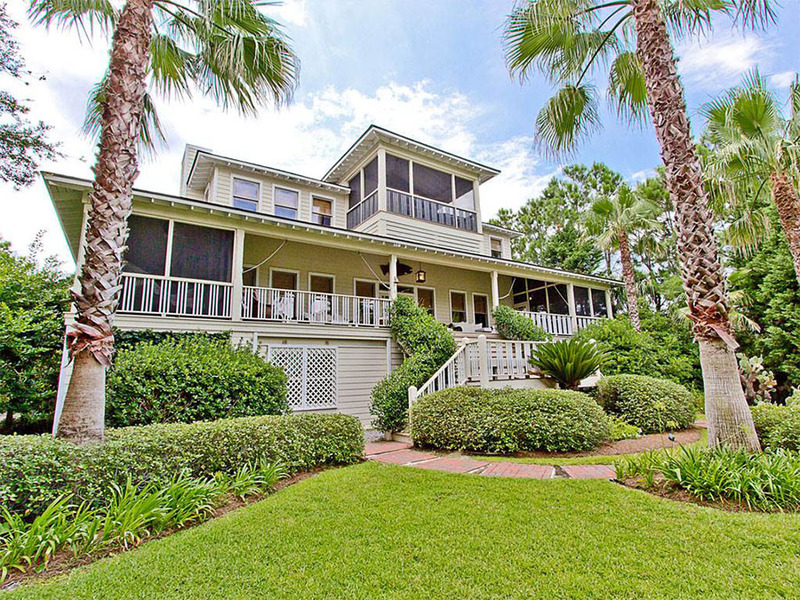 Besides being situated directly on a slice of private Atlantic beachfront in Tybee Island, GA, Sandra Bullock’s beach getaway boasts over 3,300 square feet of living space—including a gourmet kitchen, a home gym, a two-story living room, and some pretty spectacular views. Bonus: There’s a separate 2,848-square-foot guest house with a game room, outdoor grill, and crow’s nest, too! 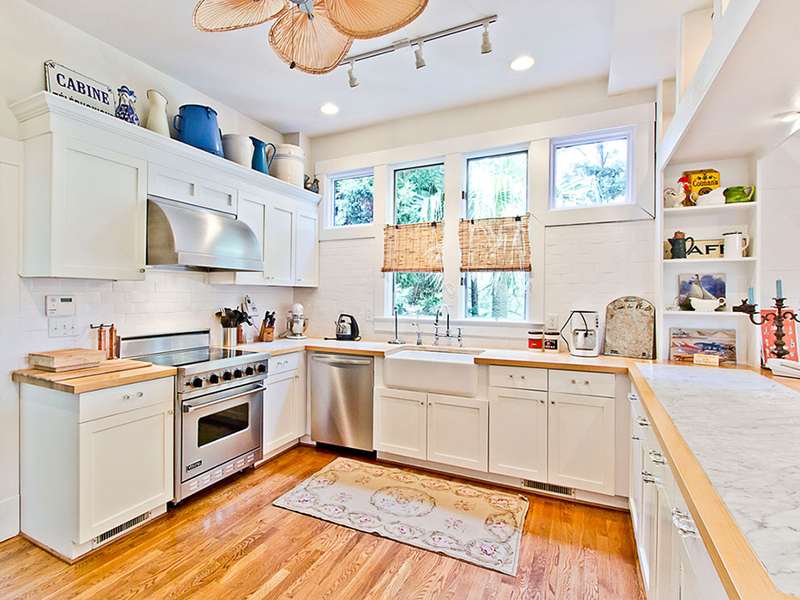 Bright sunlight, high-end stainless steel appliances, and ample counter space make this kitchen a true chef’s dream. Open to the two-story living room, the kitchen is ideal for entertainers. The two-story ceilings and high windows of this living room allow for plenty of natural lighting, as well as a spacious, open feeling. And there’s more than enough room for relaxing, entertaining, or just enjoying the views. 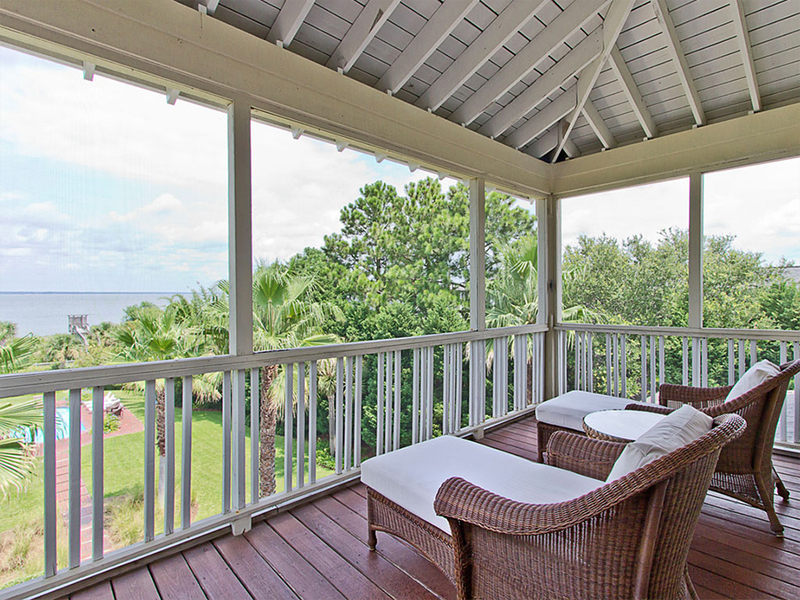 From relaxing in the hammock on the screened porch to taking in the spectacular ocean views from the deck, there are plenty of ways to enjoy spending time outside in this lovely home. 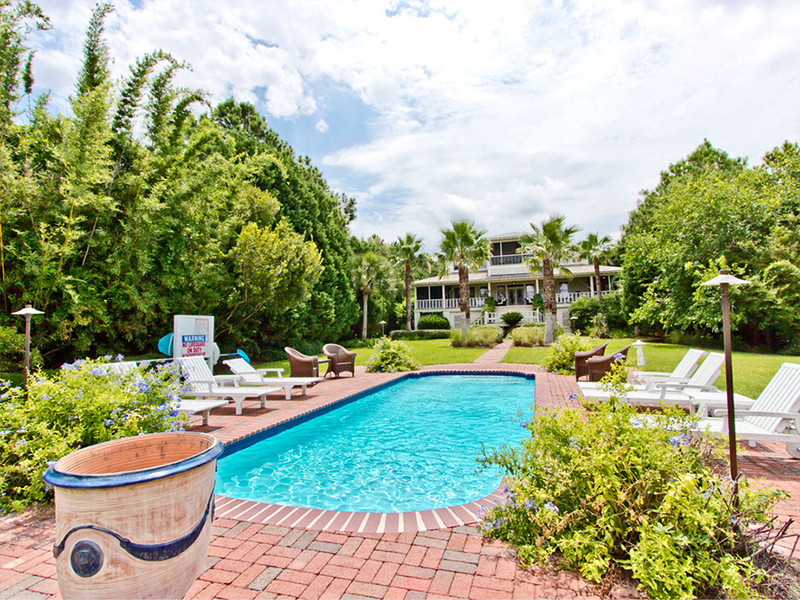 And did we mention there’s a huge backyard pool (and pool deck), too? The #1 best thing about Sandra’s house? It’s right on the beach! 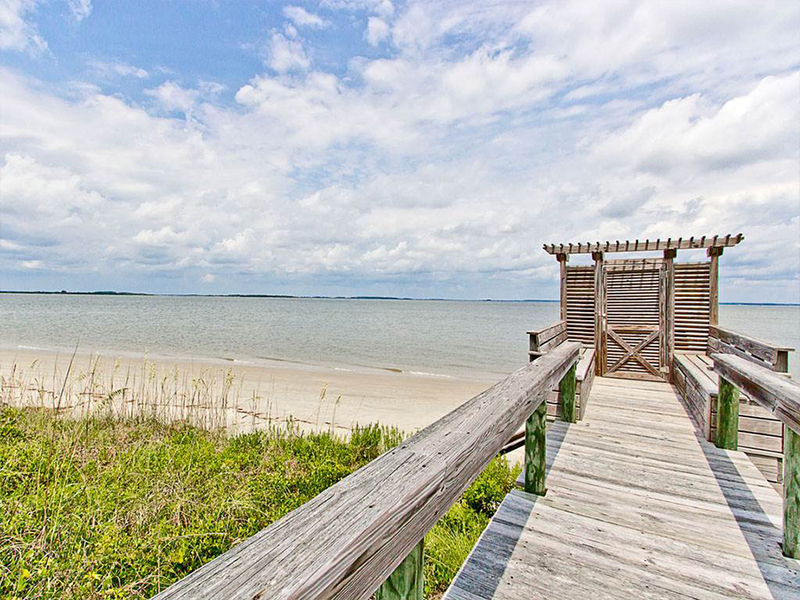 Walk out your back door, across the boardwalk, and right onto a beautiful white-sand (private) beach of Tybee Island. Ready to Find YOUR Everyday Getaway? All right, so you may not have a casual $6.5 million lying around to invest in a beach house getaway. But what about making your primary home a place you won’t ever want to get away from? When you invest in Central Ohio, you’ll find your money goes a long way—which means getting your slice of luxury living for a much lower price tag! Ready to find your dream home? Contact DeLena Ciamacco today! We’ll help you find the perfect home in just the right location.